← Solar dryer is in operation! 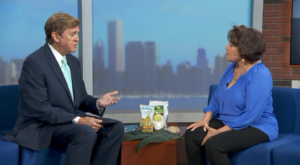 Steve Sanders, popular host of WGN TV’s Midday News, invited Mary to talk about Trees That Feed Foundation. The idea is to spread the word about TTFF’s work, and also encourage support for all organizations doing this kind of work, namely planting fruit trees, creating jobs and benefiting the environment. This segment aired live today, August 27, 2018. In five minutes Mary hit all the high points that viewers might be interested in–planting trees, helping entrepreneurs, feeding schoolchildren, and more. 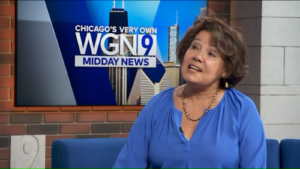 WGN has a large viewership so this feature will really help to get the word out. Follow this link to hear the entire segment. Thanks go to Steve and the highly efficient staff at WGN TV.